Closeout. 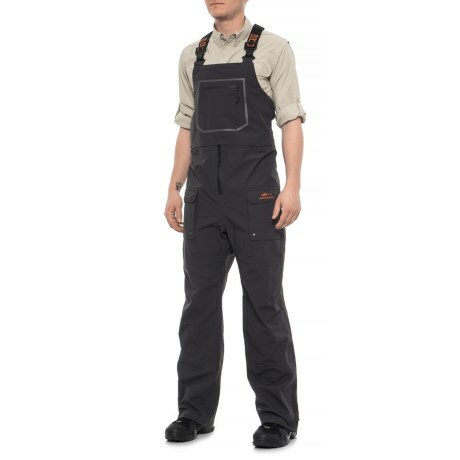 Grundensand#39; Dark and Stormy bib overalls cut through the storm with ease thanks to eVentand#174; waterproof breathable fabric and full seam sealing. Available Colors: BLACK, OLIVE NIGHT. Sizes: S, L, XL, 2XL, 3XL, M.